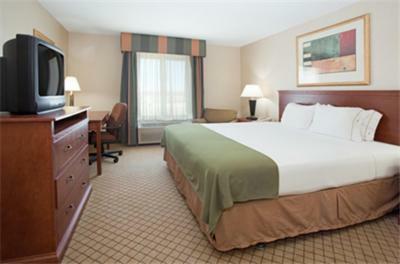 Lock in a great price for Holiday Inn Express Hotel & Suites Garden City – rated 8.8 by recent guests! 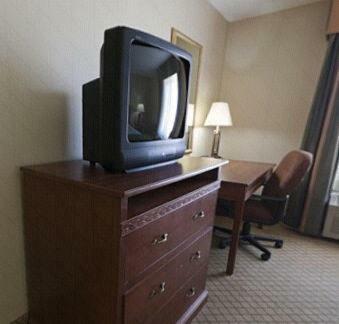 Located off Highway 83/50, this Garden City, Kansas hotel features an indoor pool and hot tub and offers rooms with free Wi-Fi and a cable TV. The Lee Richardson Zoo is 3.4 miles away. 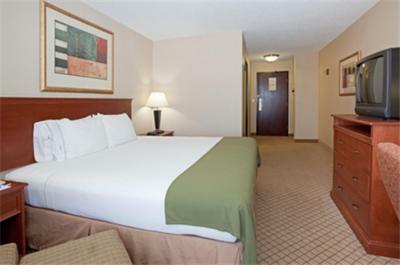 A spacious work desk is provided in each room at the Holiday Inn Express Hotel & Suites Garden City. Each room is warmly decorated and includes a coffee maker. Free access to the hotel’s 24-hour fitness room is offered to all guests, and a business center is on site. A hot breakfast is available each morning at the Garden City Holiday Inn Express. The Golden Locket Golf Club and the Finney County Historical Museum are both around a 5-minute drive from this hotel. The Garden City Regional Airport is 10.1 miles away. 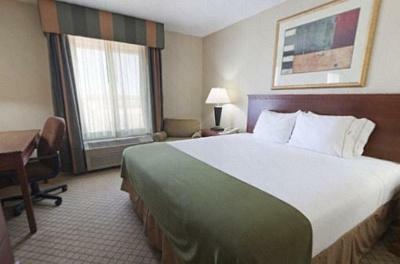 When would you like to stay at Holiday Inn Express Hotel & Suites Garden City? A 27-inch flat-screen cable TV is included in this room, along with coffee-making facilities and a work desk. Featuring visual alerts, this room also offers tea and coffee-making facilities. 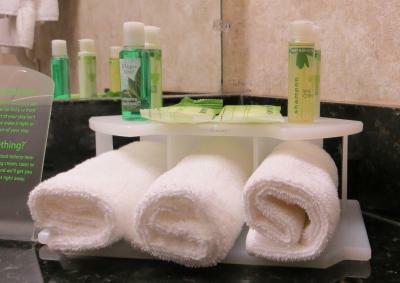 House Rules Holiday Inn Express Hotel & Suites Garden City takes special requests – add in the next step! Holiday Inn Express Hotel &amp; Suites Garden City accepts these cards and reserves the right to temporarily hold an amount prior to arrival. Holiday Inn Express Hotel & Suites Garden City accepts these cards and reserves the right to temporarily hold an amount prior to arrival. The jacuzzi wasn’t working. I booked this hotel rather than a less expensive one so we could one to help ease muscles after a long drive. Was told it hadn’t worked for a long time. Breakfast used way too much styrofoam. Bed was just a tad firm for me, but not uncomfortable. Breakfast was supposed to last until 10:00 however they started running out of things (eggs) before then (about 9:35) and they did not replenish. Several young people (college rodeo teams) went without much breakfast to choose from. The pantry needs to be restocked, as there was not much available. Bed and room were very comfortable.